This is definitely going to be my favourite look for spring/summer! 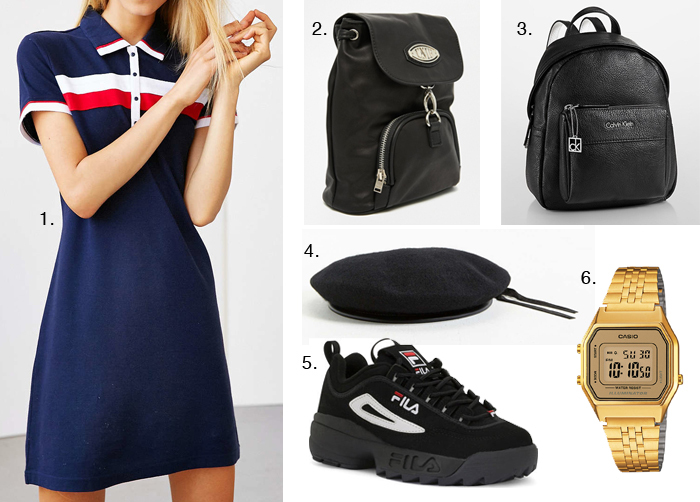 You might have already spotted this outfit in my recent vlog where I wore it for the first time, and the coordination of the Fila dress and shoes wasn’t even intentional. The shoes I’ve had for over a year though, and they’ve been around for ages, I just came across them on eBay one day (I think while searching for a different design?). 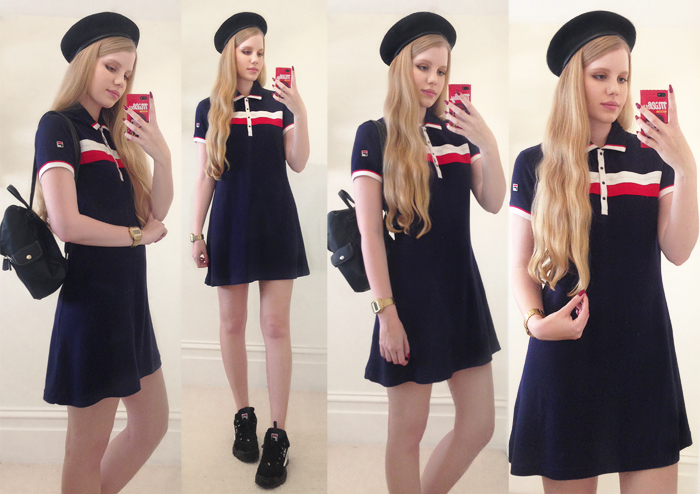 It’s interesting to see how Fila has become such a trend nowadays! and I’m glad it has for reasons such as this dress. I kid you not, I was considering buying another one as a backup because I love it so much. So here are the items from this look! Some are exact and others are similar styles as mine are no longer available. That beret though – I get so many questions about my vintage beret, and this one I found is the most similar I’ve ever seen in a mainstream store. So now we can all be twinsies.